It’s official! The space at 130 Vicar Lane is totally transformed and all ready to be used as the home of Leeds Print Workshop. There’s only one more step to go to begin our fundraising to get the printmaking equipment we need to get going. 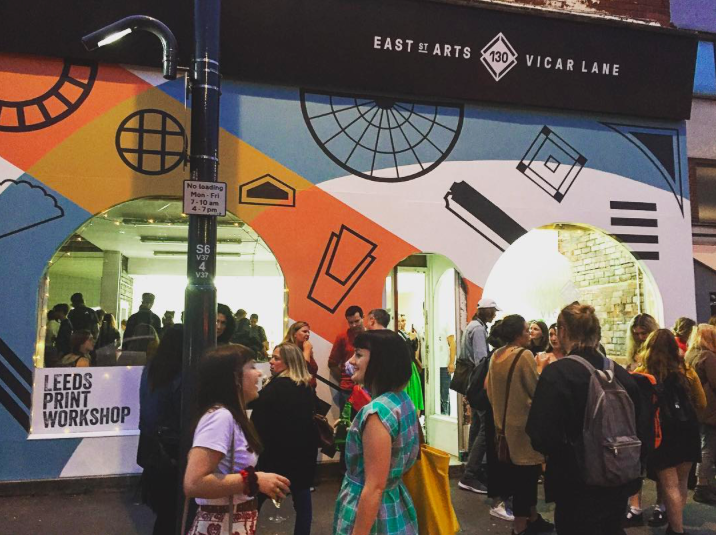 The launch of 130 Vicar Lane was hosted by East Street Arts last Friday 9th September. Thank you to all of you who attended and made us feel so special. The 130 Vicar Lane launch was also the launch of our Indigogo funding campaign. Having run on no funding at all so far we really need your support to take the workshop to the next level. Take a look at our online campaign “ in exchange for your support we have some brilliant perks on offer. Our printmaking friends have donated some exclusive, specially-printed pieces and you can also grab yourself a spot on one of our winter programme workshops. Every little bit of support helps! Leeds Print Workshop founding members were on hand to do a live screen printing demo and liven up the party. There were free screen printed tote bags full of goodies for those who attended along with beer from North Brewing Co. The art raffle was a great success, raising £340. The winners have just been drawn so you will receive a text if you have gotten lucky! Now we’re really looking forward to the next big date in our calendar: THE OFFICIAL LEEDS PRINT WORKSHOP OPENING NIGHT on Friday 14th October. This date marks the end of our fundraising campaign and the inauguration of Leeds Print Workshop as a fully equipped, working printmaking studio. More details will be coming soon but consider this your invite to the official opening “ the Leeds Print Workshop birthday party! A lot of work went into getting the building jazzed up. Only recently 130 Vicar Lane was a totally gutted, unpainted space with nothing but potential to go on. 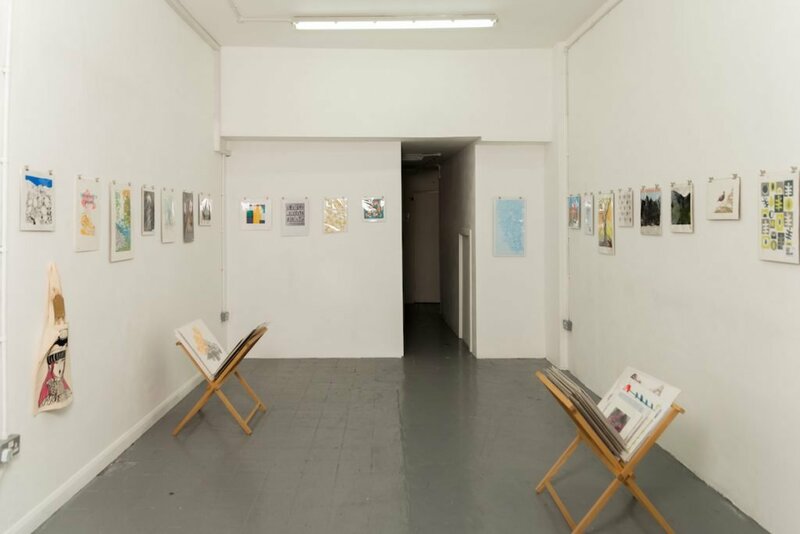 As the tenants of the building, Leeds Print Workshop have been on every step of the journey as the space has been transformed. The cherry on the cake was the completion of the mural on the fasade by Goat Collective. We love the colourful, distinctive design which is inspired by architectural motifs from the surrounding area.